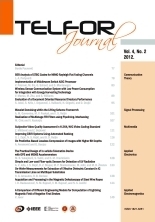 The TELFOR Journal is an open access international scientific journal publishing improved and extended versions of the selected best papers initially reported at the annual TELFOR Conference (www.telfor.rs), papers invited by the Editorial Board, and papers submitted by authors themselves for publishing. All papers are subject to reviewing. The TELFOR Journal is published in the English language, with both electronic and printed versions. Being an IEEE co-supported publication, it will follow all the IEEE rules and procedures. The TELFOR Journal covers all the essential branches of modern telecommunications and information technology: Telecommunications Policy and Services, Telecommunications Networks, Radio Communications, Communications Systems, Signal Processing, Optical Communications, Applied Electromagnetics, Applied Electronics, Multimedia, Software Tools and Applications, as well as other fields related to ICT. This large spectrum of topics accounts for the rapid convergence through telecommunications of the underlying technologies towards the information and knowledge society. The Journal provides a medium for exchanging research results and technological achievements accomplished by the scientific community from academia and industry. The authors are requested to submit only those papers that have not been submitted, accepted, published or copyrighted elsewhere. The submitted papers should contain original scientific, expert or applied results of the authors themselves. The results included should in no way violate the rights of other authors or organizations. Users are allowed to build upon the work with the full reference to the reused content and to the TELFOR Journal. With the aim to contribute to the exchange of the ideas within the scientific community, the selection of the papers is governed by the scientific criteria only without any publication charge for the authors.